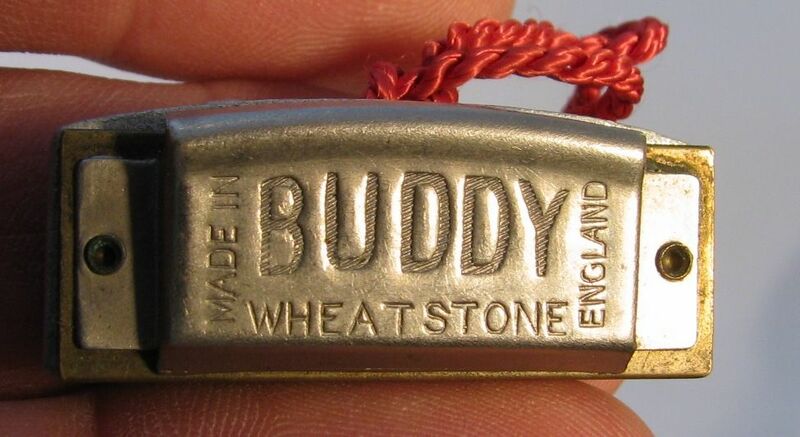 Full Description: Two “Wheatstone” Buddy 8-Note Mouth Organs, one of the first instruments permitted to be made by Wheatstone’s as the restrictions on non-war-related manufactures began to be relaxed after the war. 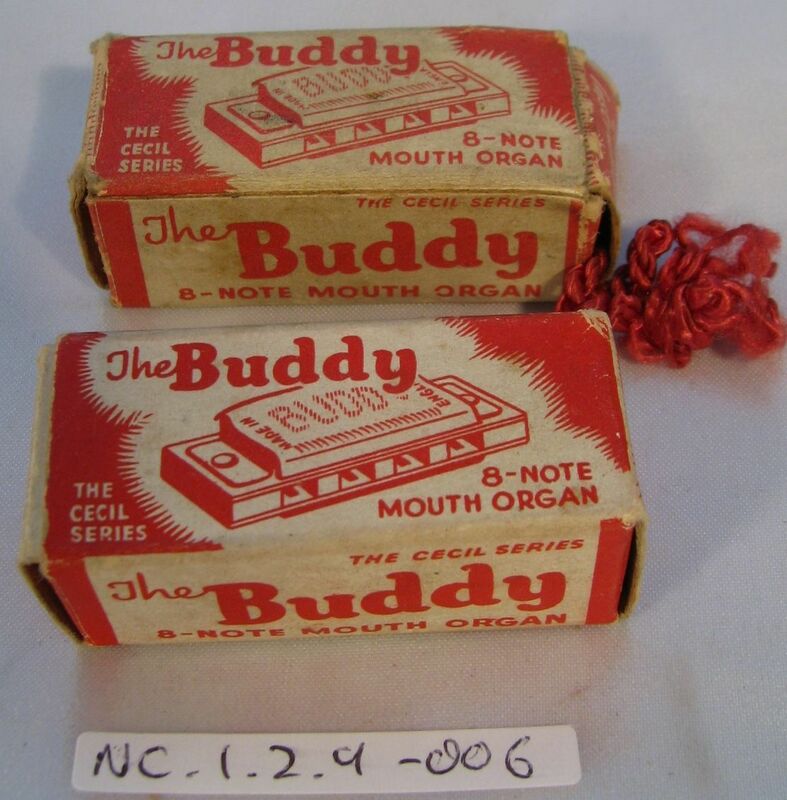 Each retains its case, and the tiny instruments are stamped in the metal “Buddy, Wheatstone, Made in England” with “The Buddy 8-Note Mouth Organ, The Cecil Series – A wonderful little Instrument” printed on the various parts of the original card cases. 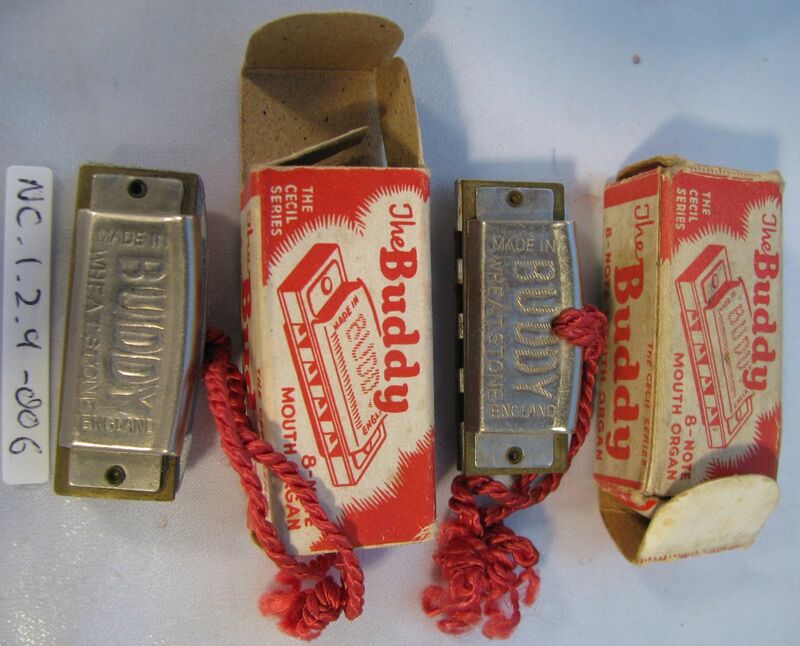 Each retains its red, wound carrying cord.